Home Soccer Institutional message from Barça: "We are not afraid"
Institutional message from Barça: "We are not afraid"
Josep Vives, spokesman of the club, felt the state of the Barça in the LaLiga after the bite in the table of the Madrid: "If we want to lead the world-wide soccer we can not do it from the fear". 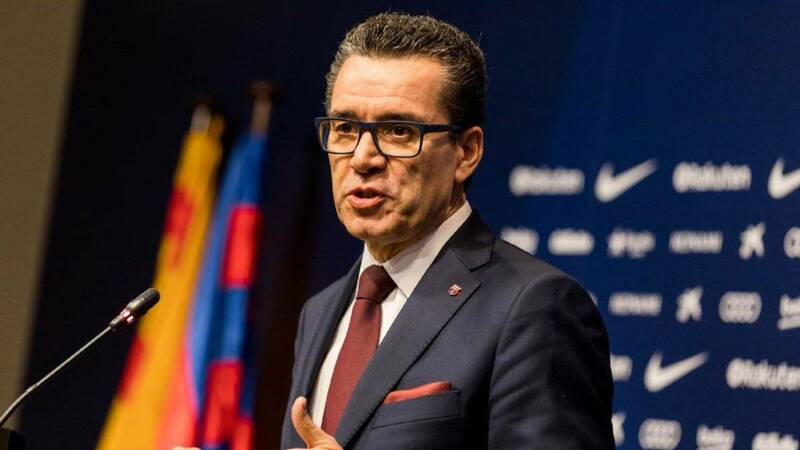 Josep Vives, spokesman for Barça, answered questions from the media after the club met on the Board of Directors. How could it be otherwise, one of the questions had to do with the bite that Madrid has given in the classification to Barça. Vives says that the team and directors are not afraid: "There is no fear, only hope, there is hope, desire to work, demand ... If we want to aspire to lead world football we can not do it from fear, yes from ambition, We are leaders with six points of difference over the second, we are in good line and we know we can not trust ourselves ". Then he discussed other issues. The VAR: "We are in favor of the VAR, for a long time we asked that it be implemented- We have kept coherent and will do so, there will be revisions that favor us or not, but we are in a period of filming and we need Everything is fine-tuned and the system is perfected We continue defending the use of the VAR If someone wants to generate controversy around the VAR, it is their right, we have to be serious, the VAR neither harms nor benefits anyone. to enter into a debate about whether it is interpreted correctly or not, we are going to intervene as actors to make this tool work better. " The trial begins on October 1. Club's position: "The resolution must be political, never judicial, the club has expressed itself absolutely against us, we live here and those of us who have witnessed this are clear about what happened here and what happens here has to go through the and we also defend our position against Sandro Rosell's provisional imprisonment, we consider it unfair. " Coutinho:" We are very happy with his human, professional profile, we do not doubt his involvement, his talent and his we are convinced that he will bring us more things than he has already given us ". About Arthur's trip to Paris:" We do not consider that we should comment on extra-sports matters, and this issue has not been commented on by the Board of Directors ". El state of Messi: "There is no concern, yes a very serious work in the sports area to have the best possible team in an We are sure that we will arrive in good condition at that moment. There is no such concern because the work is rigorous. Leo is the best player of all time and logically marks when he is or not. But without Leo we have done well this season. That's why there is not this obsessive worry ".